Are Vermont doctors obligated to tell their terminally ill patients that they can request a prescription to hasten their own deaths? That question is at the core of a federal court case. Three-plus years after a Vermont end-of-life law went into effect, the legal challenge unfolding in Rutland could decide how involved medical professionals have to be in informing patients of the law. The suit was filed last July by opponents of the 2013 law. It has revealed that the state Attorney General’s Office disagrees with advocates of the law over whether a doctor is obligated to inform patients of the option. U.S. District Court Judge Geoffrey Crawford ruled last week that two terminally ill Vermont patients and two advocacy groups may be heard as interveners in the case. That’s welcome news to Compassion & Choices and Patient Choices Vermont, two groups that support the law. 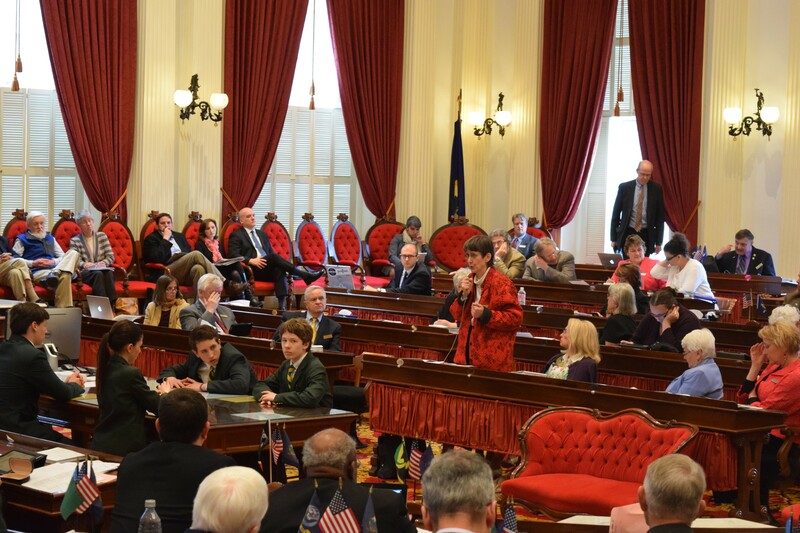 Being a party to the case will give them a chance to go to bat for their viewpoint on doctors’ obligations, said Linda Waite-Simpson, Vermont state director of the national organization Compassion & Choices. In July, the Vermont Alliance for Ethical Healthcare and the Christian Medical and Dental Association, based in Tennessee, sued the state. They claim that the end-of-life law violates their members’ religious rights by forcing them to discuss medical options that they oppose with their patients. A November 8 hearing in federal court in Rutland demonstrated that Compassion & Choices and the state have different takes on what’s required of doctors, Waite-Simpson said. The plaintiffs argued that a doctor who opposes physician-assisted suicide should not have to refer patients to providers who are willing to write a prescription for a lethal dose of medication. “I’m not aware of any state law that mandates that a provider, such as an ob-gyn, provide for or refer for or counsel for abortions,” Steven Aden, a lawyer representing the plaintiffs, said in court, according to a transcript of the proceedings. Vermont Solicitor General Bridget Asay said the state’s position is that a doctor isn’t required to tell a patient of the option if the patient doesn’t ask. “There’s nothing in the statute that would require an objecting physician to get into that level of detail,” she said in court. Waite-Simpson disagrees, arguing that doctors have an obligation to inform patients about their options. She hopes her group’s inclusion in the court case will encourage the judge to determine whether that’s the case. Waite-Simpson said that a decision could have far-reaching implications in other cases involving medical procedures to which some medical professionals might object, from abortion to stem-cell research. Since Vermont’s end-of-life law took effect in 2013, physicians have written 38 prescriptions for lethal doses of medications for terminally ill patients.